Despite not being an actual color by definition, black is one of the most popular "color" selections when it comes to ribbon cutting ribbons. 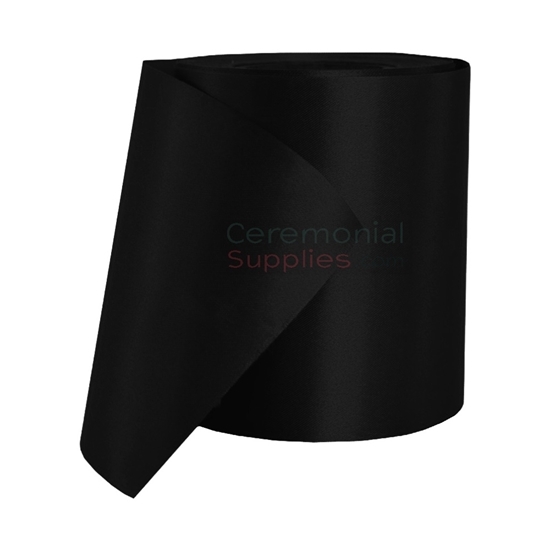 Maybe it is the fact that black ceremonial ribbon is an unbiased selection that can be used for any event, but we think it is the elegance that it exudes that makes it such an appealing choice. While black is popularly used in company color schemes and logos, it is a flexible shade that adapts to any other color combination. Black ribbon may be used to "dress-up" the venue where your event is being held, but it is also a popular color to feature as the ribbon to be cut. Pair up with one of our black ribbon cutting scissors and black bows and you have one elegant ceremonial ribbon cutting set.